BRIEF CAMP DESCRIPTION: Imagination Theatre Camp for kids age 5-8 is an introduction to performing on stage, running June 4-15 Monday through Friday. Taught by certified teachers, children experience music, acting and movement with a performance on the last day of camp. CAMP LOCATION: We are located on the southeast corner of Greenfield and Main streets in Mesa, AZ 85205, in the East Valley of the Phoenix Metropolitan area. CAMP FACILITIES: We have three class rooms and all of the necessary materials and supplies for all of the campers who participate in the program. CAMP PROGRAM INFO: All of our instructors have degrees in their subject area, have to maintain an updated finger print card, and have taught for several years. 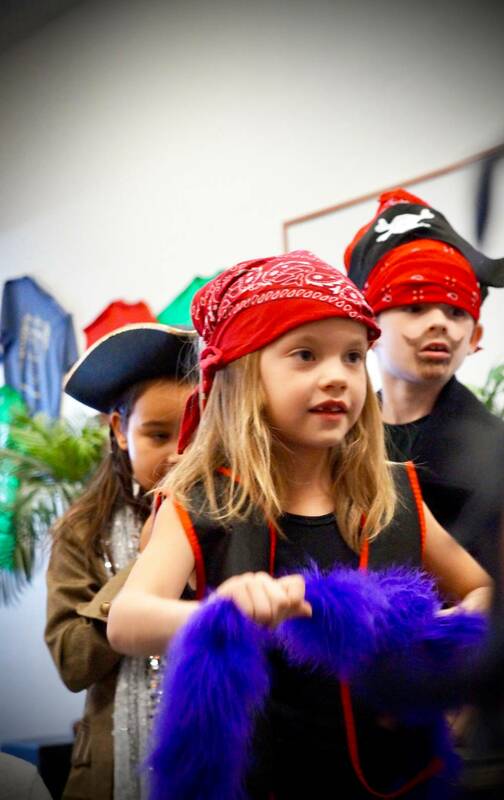 This is the eighth year of our Imagination Theatre Camp for young children. We want to give each child an opportunity to explore, create and learn about theatre and musical theatre while having a great time. CAMP SCHOLARSHIPS OR FINANCIAL ASSISTANCE: Scholarship application is available by calling the EVCT office at 480-756-3828. Scholarships generally are 1/4 to 1/2 of the camp fees. Sibling discounts are available also by calling the EVCT office. YEAR-ROUND PROGRAMS: EVCT (East Valley Children's Theatre) holds classes year round at its Studio,4501 East Main Street. Classes in acting and musical theatre; has performance troupes (acting, musical theatre and improv); programs for home schooled kids; a technical theatre progra;, one day workshops and Open Theatre sessions. It also produces Four main stage productions each year and is the resident children's theatre at the Mesa Arts Center. June 3-14, 2019 (Monday through Friday) from 9 am until 12 noon. Go to The Best Arizona Summer Camps Directory to Find More Top Summer Camps Near Mesa, Arizona.